Mash-up dinners have been a delicious surprise. What are mash-up dinners? Mash-up dinners are taking two of your favorite meals and putting them together. 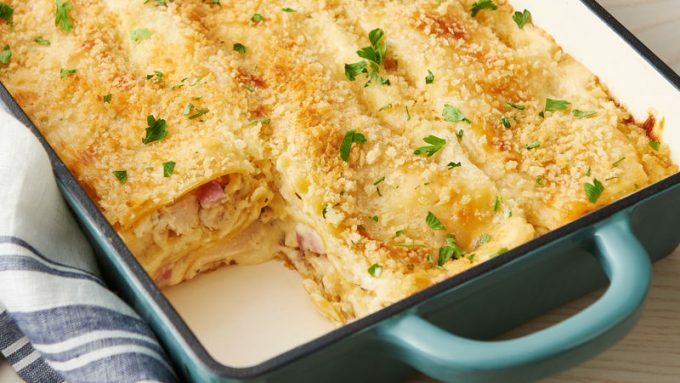 Chicken Cordon Bleu Lasagna recipe from Betty Crocker is a delicious mash-up meal with your favorite chicken cordon bleu and lasagna put together. This meal is creamy with a cheesy sauce, lasagna noodles, Swiss cheese, chicken and ham. You’ll love the huge flavor of this meal!